A few random items from my food preservation program today. Things we discussed and things I forgot to mention. It was a very enjoyable morning for me, and I think all the attendees had a good time. I sent them home with herbs to dry, and a couple of them got “prizes”, like a cookbook. We talked about the use of ice cube trays to freeze fruit, pesto, butters and herbs. 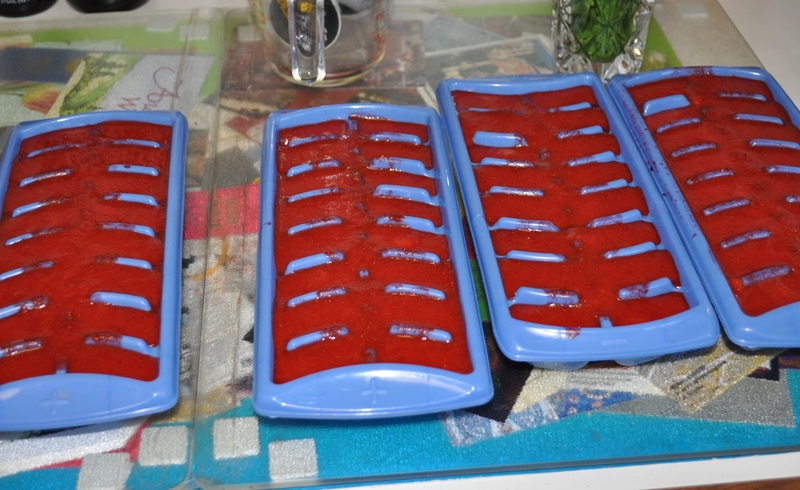 I use different sized trays for strawberry puree, mint in ice, chive butter, sage butter, basil oil, bacon fat (yes, bacon fat), blackberry or blueberry simple syrups. I mentioned that I use those trays pictured above to make herb butters. Two sticks of butter, melted. Herbs cut in advance and placed in trays. Pour cooled butter over the herbs. Each segment of a tray holds one tablespoon of butter. Nice proportions to use for pastas, potatoes, eggs, gnocchi and more. Freeze ingredients, as well as finished products. I freeze one cup packages of shredded zucchini to use for breads or fritters. I freeze carrots and celery leaves to use in soups and stocks. I freeze caramelized onions, just because they are awesome in so many recipes. Oven roasted cherry tomatoes. Oven dried plum tomatoes. This way I can pull out a bunch of bags, pop them in the crock pot and make soup or sauce. I freeze veggie scraps to make veggie broth. Carrot tops. Lettuce root ends. Celery root end. Onion skins. Green bean ends. Stems from parsley. Carrot greens. Possibilities are endless. Keep those shrimp shells. Crab shells. Fish ends. Make fish stock from them. Buy bulk turkey legs from Maple Lawn. Use them for soups. After making the crock pot soup, boil the living daylights out of the bones to get a small amount of very rich stock to use as a base for couscous or other grains or rice. There’s nothing like the taste of these locally raised birds. So much flavor. 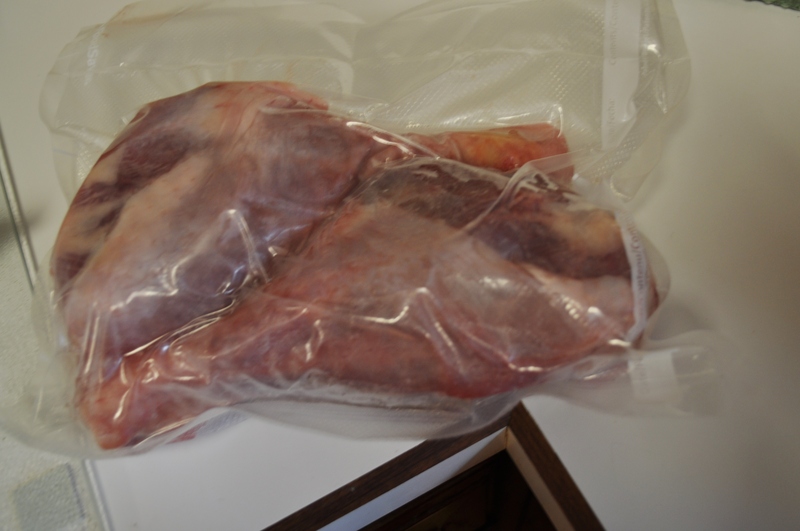 I also use local chickens for stock, and buy smoked ham hocks to keep around for when I make bean soups. I need to find some of my other recipes to add. But this is certainly a good start to using up the summer’s bounty and keeping it available to make winter just a little warmer. 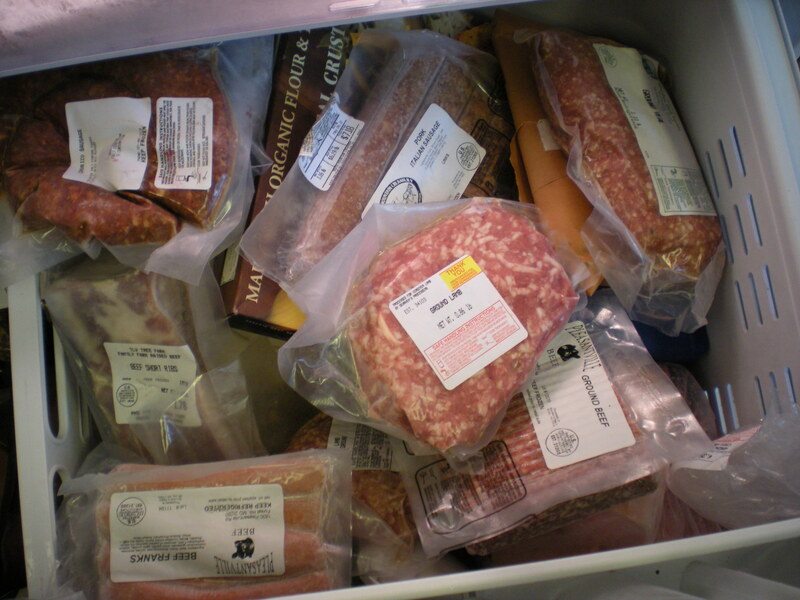 What in your freezer might inspire you this fall? Posted in Food, Real Food and tagged cooking, crock pot cooking, Food, foodie, Locavore, real food. Bookmark the permalink. I decided I needed to exercise this morning so missed your program. Darn it. Looks like a very interesting presentation, I hope you had a decent turnout! I will be adding new posts for a while. The new page is where I will put all of it. I had the right amount of people to make me feel comfortable. We fit around the tables in the nature center. I would have been overwhelmed with rows of people. Sounds like your event was a great success, congratulations! Hope you might do another again sometime. I wasn’t able to attend this one but thank you for posting some of your tips. What an excellent idea, to freeze ingredients, e.g. saving carrot & celery tops (which until now, I have not been doing), caramelized onions (which take so much time to make from scratch but not if it means just grabbing a package from the freezer), veggie scraps, & parsley stems. I’m definitely putting some of these into practice starting today.